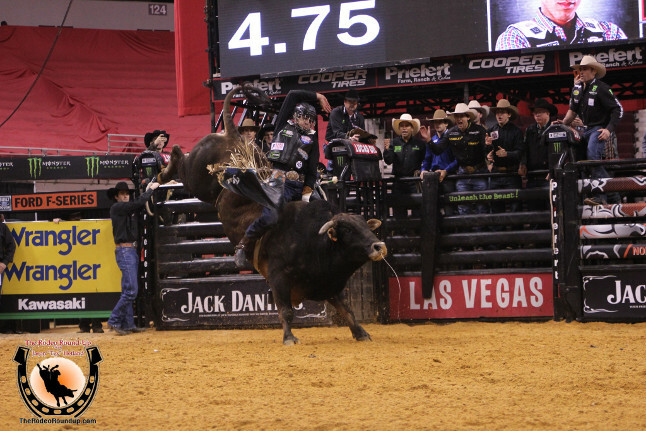 As the time grew near for the second and final night of action for the ninth stop on the Professional Bull Riders 25th Anniversary Monster Energy Unleash The Beast Tour the top 35 bull riders in the world did all they could to put last night’s past behind them. Just under 24-hours ago, we saw one of the most heart-wrenching rounds that we have seen so far this year with the bovine athletes of the ABBI showing their might from beginning to end. In round one, we were only able to see a mere seven qualified rides made which would leave the door wide open for any of the cowboys in the locker room to ear a spot in the championship round later tonight with a solid performance in the opening round later tonight. Everyone was hoping to see the tides turn in order to see more qualified rides here tonight! 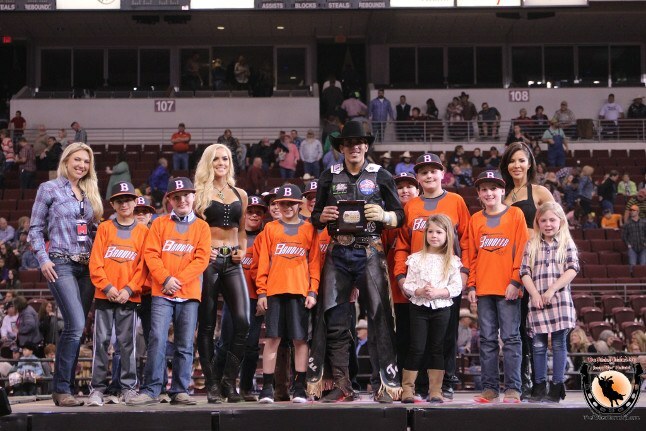 As we began to look ahead towards tonight’s round two, it was made known that the task of regaining the steam that the bull riders would need would not be an easy route with the match-ups that would be placed before them here in Little Rock. After a dismal round one, each of the bull riders here tonight knew that they would need to screw their heads back on straight and try to figure out a way to earn the swagger back that was lost in complete dominance. Once we were ready to begin the march towards the Bad Boy Mowdown Championship Round the anticipation and energy level inside of the Verizon Arena was infectious and could be felt within each and every person in attendance and watching at home through the new Ride Pass Digital Platform. We all would have to wait and see together how everything would begin to play out. Once the lights were turned on and the arena sound system began to blare country music across the speakers, it signified that the doors were about to open for the loyal fans of the Professional Bull Riders here in Arkansas. While the fans walked the concourse receiving autographs and getting their munchies many were also seen studying the daysheet as they made friendly wagers on how many qualified rides would be made follow the horrendous outcome of last night’s round one. Many questions still remained as to the extent of injuries that round one winner Derek Kolbaba sustained after being stepped on and not being able to make it back to the second round earlier tonight. All those questions would be answered and the news of what was announced did not sit well with the fans as it was made known that he had, in fact, tore both his ACL and MCL that might put him out of action for quite some time depending on what they find during his MRI Monday morning. Coming into tonight’s round two, each and every one of the riders knew that they would have a great chance to make it to the championship round if they could cover their mounts for the needed eight seconds to earn a score. After watching last night, no one thought that we would see anything close to a repeat performance but that is exactly how things played out once again down on the arena floor inside of the Verizon Arena. Once all things were said and done, only another ten would make it to the buzzer which made everyone uncertain and left scratching their heads all while trying to figure out what had happened to the best bull riders in the world. Tonight though, we would save the best for nearly the last ride of the night in round two as Fabiano Vieira would be able to tame TNT Bucking Bulls / Hart Cattle Company’s Fire Rock to the tune of 87.50 points and the round two win here at the Bad Boy Mowdown in Little Rock, Arkansas! After a rough two rounds of qualifying action, many of those cowboys that managed to earn qualified rides were left battered and bruised, making the anticipation for finding out who would be able to come back for another ride and who would not taking center stage. Following rounds one and two, only a total of fifteen riders would put up scores on the board that would barely fill the available spots in the championship round while that very question would be answered moment later. Once Dr. Tandy Freeman and his sports medicine staff diagnosed all injuries it was announced that only thirteen of the fifteen would be able to come back to compete for the 2018 Bad Boy Mowdown event title after Derek Kolbaba and Jose Vitor Leme would be ruled unable to compete. Once the stage was set and the two bucking bulls that would not be available for the draw were chosen, it was time to figure out who would face off against who in the championship round for the 2018 Bad Boy Mowdown event. As the remaining thirteen contestants walked to the top of the shark cage, one by one, a few of the choices drew excitement and raised some eyebrows around the entire arena. Those choices, along with the household names of bovine athletes that would put up huge numbers, made this weekend’s championship round one of the rankest we have seen all year thus far. When everything was said and done, there would be only three that would be able to make the eight-second buzzer while Brazilian Luciano De Castro would take home the win with a huge 91.75 point ride atop Jane Clark / Gene Owen’s Big Dutch! To say that this weekend is one that a majority of the cowboys would want to forget as soon as they can would be a complete understatement but a few would hope to continue their hot streak for weeks to come. 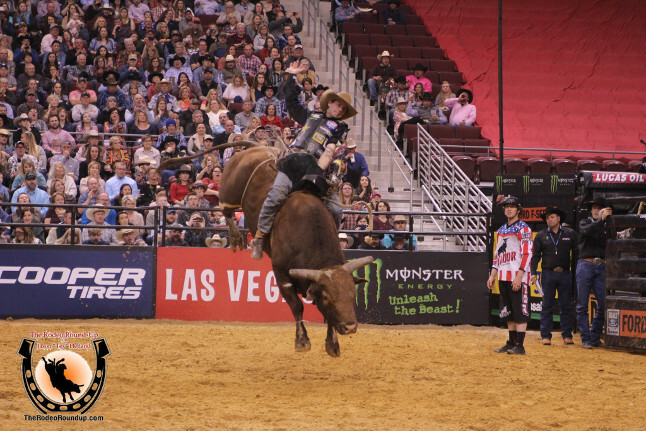 After the championship round was concluded, three would be able to post a qualified ride on the board while a few of the bovine athletes would contend for an event title themselves all while trying to earn the top bull score of the weekend. The championship was stacked with world champion bucking bull contenders and world champions themselves which set up an amazing round of bovine talent with the reigning world champion Sweet Pro’s Bruiser taking home the top honors from the weekend with a whopping 46.50 point bull score, setting him far above all others here in Little Rock! On the other side of the coin, we still had the 2018 Bad Boy Mowdown event champion to crown and that would happen center stage atop of the infamous shark cage in front of all those watching the event live inside of the Verizon Arena. After a grueling two days of competition, it would all boil down to who could outlast the rest of the field and tally up the most points throughout the weekend which would be a task in itself. This weekend, however, only one man would be able to be a perfect three-for-three and beat the other 34 bull riders by one full bull ride and that man here this weekend would be non-other than the winner of the championship round, Brazilian Luciano De Castro that would cap off an impressive weekend here in Little Rock, Arkansas with the Bad Boy Mowdown event title. Now that this weekend’s dismal event is in the rearview mirror, it is time for everyone to look ahead to next weekend’s event in the great state of Georgia. As we make our way to Duluth, Georgia, many of the top bull riders in the world are hoping that they can collect on a sweet Georgia peach of their own by changing their seasons around just in time to make a big run towards the world championship title later this year at the PBR World Finals. There are a few that hope to carry on the momentum that they have continued to have early on this year while many others struggle to figure out what they can do to regain their confidence and swagger to make a run towards a 2018 event championship title of their own as we are set to invade Duluth, Georgia for another outstanding event on the 2018 Unleash The Beast Tour!